Contemporary fashion and lifestyle brand founded in 2002 by Karl-Oskar Olsen and Brian SS Jensen in the city of Copenhagen. Wood Wood brings in an eclectic mix of streetwear and sports, finding its balance between style and functionality. The designs are often inspired by culture, art and music, which are showcased through the sophisticated expressions of various juxtapositions and typography; contrast and character. Wood Wood has also collaborated with well-known global brands like Nike, LEGO and Barbour. Definitely a brand that’s got the ability to move up and down the fashion spectrum depending on the newest trends. Concept fashion house for menswear founded by Omer Ben-Michael, Philip Gaedicke, and David Ficher to create a synthesis of curated brands and designers from around the world. The name stands for ‘South Torstrasse’ — referencing its location in Berlin’s Mitte district. The collection available here is quite fast-moving and always changing, which makes each trip to SOTO exciting for those seeking a seasonal wardrobe upgrade. The interiors find a perfect harmony between industrial design elements and chic decor. Streetwear boutique store influenced by the recent skateboard culture, founded by Alex Flach and Andreas Hesse in the heart of Berlin. Its not just a place for buying a new wardrobe, but also famous for its exhibitions and launches. Just the right place that excites the artist or skateboarder in you. The interiors boast a rustic contrast between the concrete flooring and industrial wall units. Civilist also runs another store which is an active collaboration with Nike SB. Boutique multi brand store in Friedrichshain catering to a range of sneakers, jackets and bags among other accessories. Founded by a wood-enthusiast, you can see elements of master carpentry around the store. The interiors portray a raw desk register and a light-flooded table island in the centre, filled with carefully selected highlights of the season. Stereoki is the perfect place for people that prefer to wear their fashion in an unpretentious manner. Creatively driven concept store located in Berlin Kreuzberg. Its large store space feature products that showcase seasonal presentations through modern design, visual culture and the future of luxury retail. Voo Store continues to set itself apart by continually innovating in fashion and timeless art. To further complement the store, it also offers a variety of specialty coffee, hand-sourced tea and a selection of baked goods at the in-house cafe. Adidas’ first select store worldwide focusing on creating a leading-edge in statement fashion, essential sportswear and chic design. No 74 features an exclusive selection from renowned Adidas brands and collaborations, such as Y-3, Stella McCartney, Pharrell Williams and of course, Yeezy Season 1. 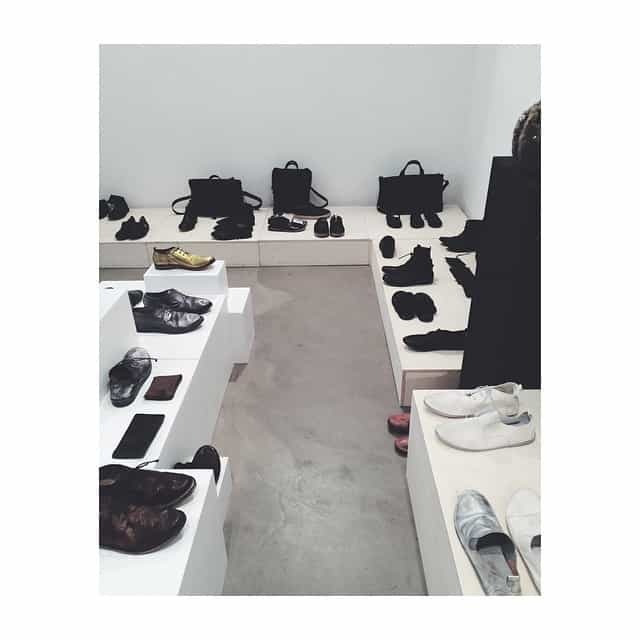 The store is located on Torstrasse, right along the heart of Berlin’s fashion and cultural area. Since No 74’s inception, its focused its commitment towards innovation and the local community that its a part of. Thus, the store has gathered a strong local and international fan following. The interiors in itself offer a minimalistic design and a well-lit atmosphere showcasing primarily sneakers, jackets and backpacks. 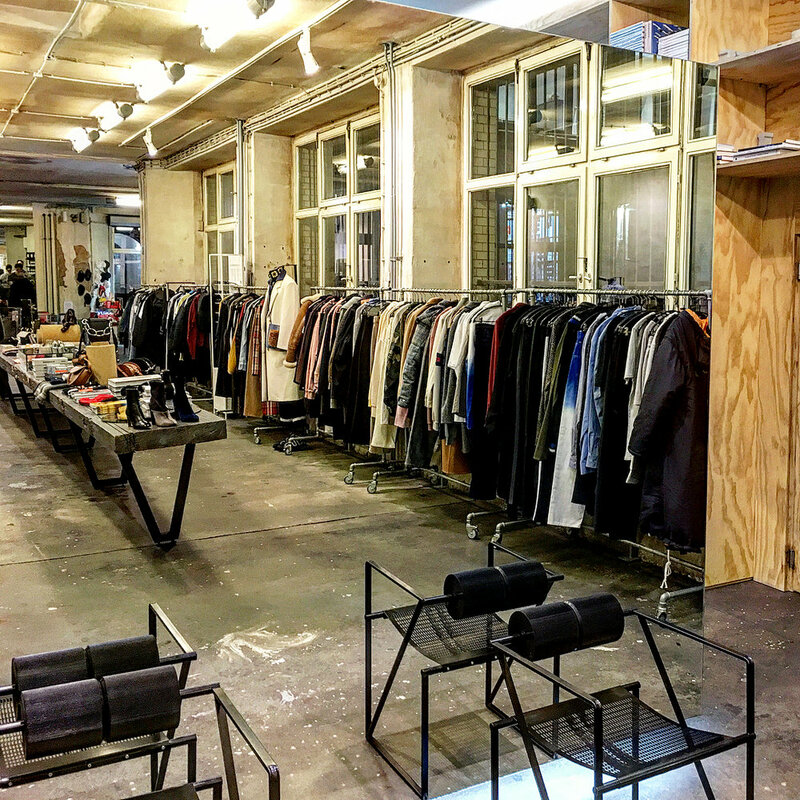 Japanese streetwear brand curating the best of merchandise and products from around the world right in Berlin’s Mitte. Founded in 2006 by André Storvoll, Its definitely the place where runway meets the street. The prices cater toward a slightly higher end of the segment with quality Japanese streetwear labels but also featuring other brands like Acronym, Stone Island and Vans Vault. Great place to notice emerging brands and other independent collaborations with Firmament. With limited, but well curated collection, its the perfect place to find something extraordinary. French boutique label offering its best in minimal design to Berlin. Founded by Jean Touitou in France, infamously renowned as ‘the gabbiest man in fashion.’ But hey, we didn’t say that. The boutique though, is neatly laid out with ample space for visitors to enjoy their shopping experience. The quality and design are timeless in nature which allow it to be favoured by a wide range of demographics; anyone can wear these clothes! They prove time and again that unsexy and understated fashion is the new fresh. A bold statement that pretty much captures the unity in Berlin’s fashion scene. Berlin’s classic menswear label that focuses on contemporary classics. Founded by the designer Wibke Deertz in Berlin, the brand has created timeless designs with materials and inspiration sourced from Buenos Aires, Hanoi and Bangkok. The quality and effortlessness in every piece of clothing makes many consider as a favourite possession. A.D.Deertz offers a variety of shirts, sweaters, scarves and bags among other things. The choice of brands, store location and interior design of Darklands is truly one of a kind, even with Berlin’s unique fashion landscape. It feels more of a museum that offers an excellent selection of clothing that resonate a goth glam look and hard to find labels. But be prepared to pay over €500 for a T-shirt. Uniqueness sells. Since 2007 Burg & Schild in Berlin-Mitte represents the ethos of a business for men who appreciate quality and tradition; for those who feel passion and appreciation for their clothes. 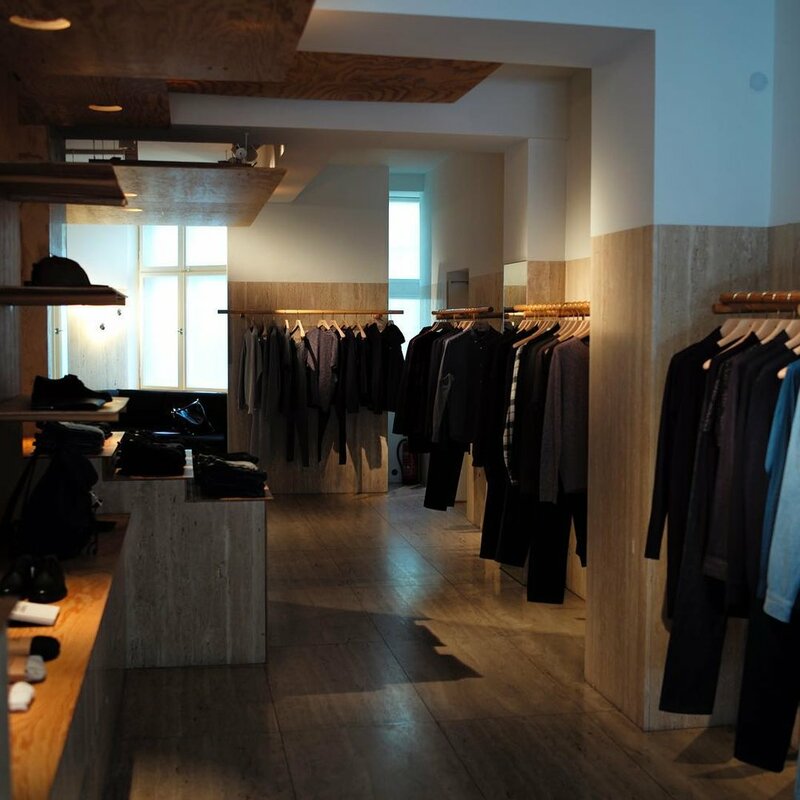 It is a shop for men of character and style, denim lovers and idealists. Truly passionate and knowledgeable, Burg & Schild offers a unique selection of brands including Iron Heart, Indigofera, Stevenson Overall Co., Simmons Bilt, Edwin, Stetson, Viberg, Tellason, Filson, Rogue Territory, 3sixteen and Red Wing Shoes. The very concentrated selection of brands from around the world includes both classics and reinterpretations of many styles. Founded by S. Brandenburg and K. Knipschild, Burg & Schild has been owned by Maria Klähn since 2014, which previously founded the online shop in 2013 and now operates both under the umbrella of Selvedge Online GmbH. The online offer now allows men, and of course women from all over the world, to enjoy the high-quality products conveniently from home. With great attention to detail, all product photos are photographed specifically for Burg & Schild. During his 15 years directing Berlin's Museum of Things, Andreas Murkudis established himself firmly in city's art scene. 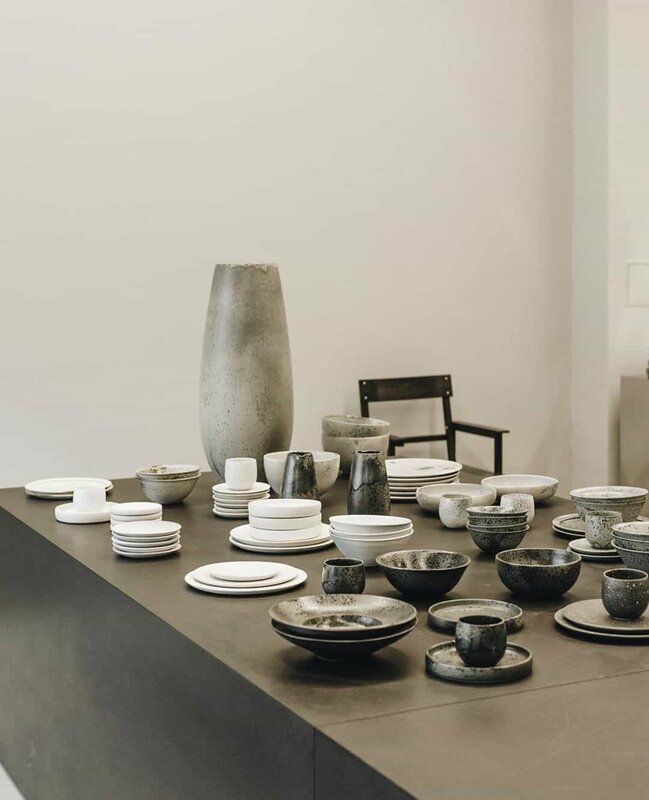 He opened his first store in a backyard in Mitte in 2003, and, always seeking creative and unassigned surroundings, moved to Schöneberg in 2011. Located in the former printing workshop of the daily newspaper Tagesspiegel on Potsdamer Strasse, Andreas Murkudis is now found among a variety of art galleries. The vast industrial space shows Andreas Murkudis' unique selection of products in a museum-like atmosphere. His selection consists of things he would love to own himself, based on his fundamental belief in clean aesthetics, high quality and longevity. The objects do not bow to trends, each of them tells a story of its own and grows in value over time. Displayed in dialogue with one another, they open up the visitors' perceptions, inviting them to sense each item's individuality. During fall 2011, the concept store was finally opened. Previously under the project name ‘Oukan71', a hint to the address Kronenstrasse 71 and its Japanese equivalent, it has now developed into Oukan. Today, as an on-going service, Oukan also works closely with Japanese designers who wish to establish themselves on a European and especially german market by consulting and supporting them with all occurring questions. Independent artisan selling handmade felt slippers. It all started in 1908 in Magdeburg with the company founder Bernhard Jünemann. He began producing the slippers, with production still taking place in the apartment. His son, Otto Jünemann, took over the business in 1927 and moved to Berlin, more precisely in the district Mitte in the Lottumstraße. From there he moved several more times, but have not left the center of Berlin (Mitte or Prenzlauer Berg) since then. Difficult times, such as the Great Depression, were mastered as well as both world wars... the brand has seen it all and yet survives and produces designs fit to contemporary times. Handmade stationery and house lifestyle products. Whether it's a one-of-a-kind piece or a set that gives an individual message, the literal selection from A to Z paves the way for high-quality typographic gimmicks, making the hearts of those who value the tangible and intangible in the digital age beat faster. Type Hype products are designed in Berlin, produced in selected factories in Germany and Austria, by experts and connoisseurs of their field and by traditional craftsmanship methods. Tink offers everything for your futuristic home. They portray themselves as the first comparison and advisory platform for products that make your home smarter. Tink was founded in 2016 in Berlin and together with a team of experts, they have been working since to inspire everyone to create a networked home. They founded Tink because they want to get everyone excited about Connected Home products. In doing so, they focus on products that are easy to install, attractively priced and offer real added value for the customer. For example, in the past alarm systems costed several thousand euros, with today’s technology there are smart security systems at tink that start merely at 150 euros. Thanks to smart solutions, your home heating would automatically shut off when you open a window or leave home. So you could potentially save up to 30% in heating costs. So far, a comparison and advisory platform lacking navigation through the jungle of new products and applications was missing. With tink they have created exactly this platform. tink is your cross-brand contact for your Connected Home and helps you to make your home smart. Candy shop with a huge selection of licorice from various regions. Just a stone's throw from the Market Hall Nine has a licorice shop that opened end of 2015. The Lakritz Dealer offers a comprehensive selection of over 500 international licorice specialties of the finest quality. As is customary in Netherlands and the Scandinavian countries, the customer mix and choose from more than 150 different varieties and can compile their individual favorite blend. Also available are prefabricated licorice mixtures of several flavours, select premium licorice, licorice liqueurs, literature on licorice or fun curiosities such as liquorice toothpaste. For those who like to experiment in the kitchen, the Lakritz Dealer has the inspiration and ingredients for cooking and baking with licorice. Whether you’re a complete beginner or an arrant fan of licorice — there’s a huge range of classic specialities and the latest licorice trends from all over Europe. Artisan food store offering exotic ingredients. G&S is more than your regular grocery store, they curate food from different parts of the world along with Booze & Beverages, Books for Cooks, Kitchen Utensils, and Cooking Classes (in English too). Goldhahn & Sampson is a purveyor of essential supplies for everybody with a kitchen. Good, clean and fair. 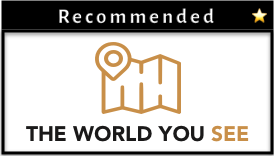 G&S searches the world for the tastiest and best - a provider for la dolce vita. Yes they also stock little luxuries too that they would love to share without any fuss. 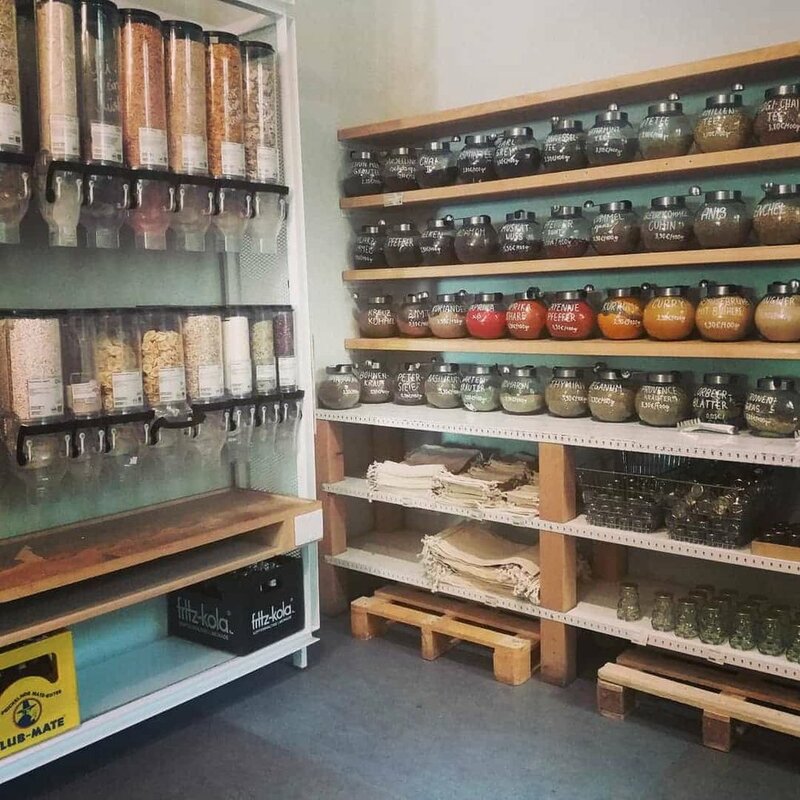 Sustainable plastic-free supermarket promoting BIO products. Nice that you're still here. Original Unverpackt was the first supermarket in the world dedicated to zero-waste lifestyle. In their Berlin shop and the online shop they offer organic, natural and sustainable products for food packaging.